Stylish jewellery does not have to be expensive. With several affordable metal rings @ Craftsvilla, you can choose any design and become the fashion diva that you have always aspired to be. Amongst the wide range of collection are sterling silver, 24 carat gold, steel, copper, rhodium and rose gold; each designed to meet your expectations at its best. 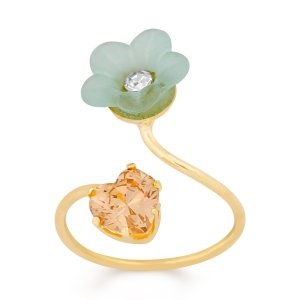 You can even add a personal touch to the rings, making them an impression of beautiful memories and reminders. The profile, texture and pattern of the rings bring individuality and style to any outfit that you wear. Formal rings can be an excellent option when you are at work, while the evening night outs, weddings and parties will be incomplete without the classic metal contemporary rings. 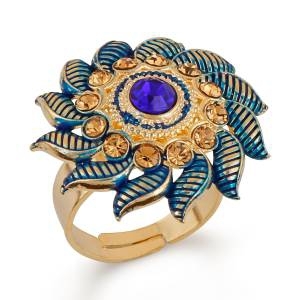 The boho-chic will never go out of fashion, however, its essence will remain incomplete without the signature bohemian rings. These rings combine a spark of creativity, innovation and modernity that makes you stand apart from the crowd. Team these rings with a pair of crop top and denims, casual shirts, or kurtis and witness the world of difference that it creates. 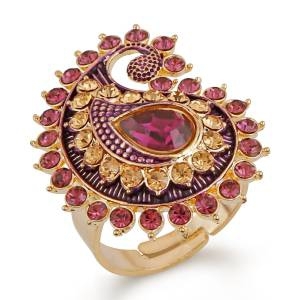 The contemporary metal rings embody timeless designs whose existence dates back to the Mughal era. 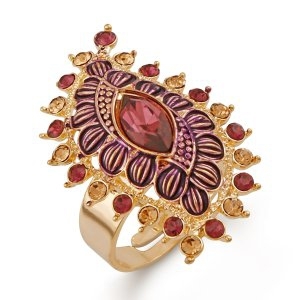 These rings are often studded with American diamonds, ruby, topaz, emerald and many more stones, making it a symbol of royalty and style. 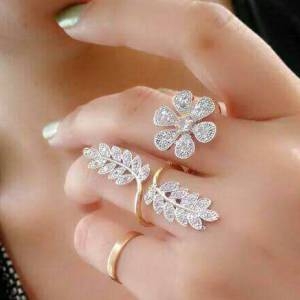 The affordable formal rings are a great pick of your everyday formal look, where you can still be the glam girl with minimal accessories and a professional outfit. These are great options for events, formal meets or seminars. 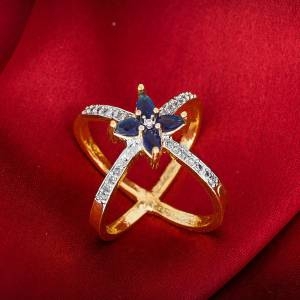 Crafted by creative minds, the designer rings are another prominent style that have revamped the outlook of fashion enthusiasts towards rings. They are funky, vibrant and most importantly, are in fashion helping you create an unforgettable style statement. 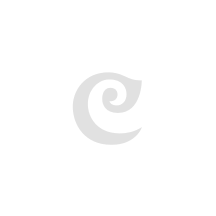 You can find exquisite collection of metal ring designs, styles and loads more only at Craftsvilla. So, wait no more and shop them at affordable prices.